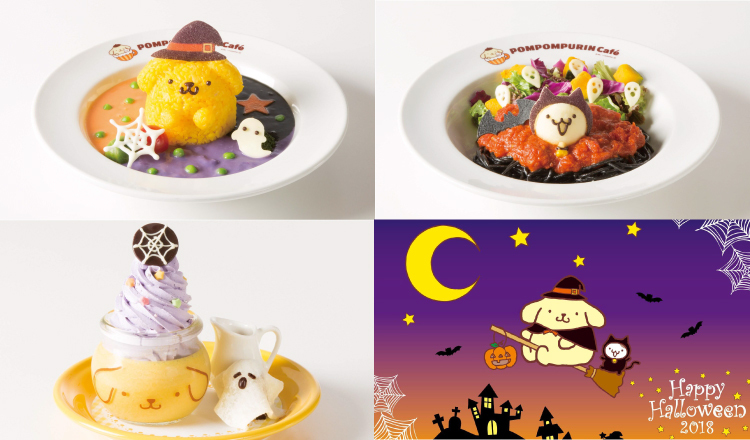 The Harajuku and Umeda branches of the Pompompurin Café, which is based on the popular Sanrio character Pompompurin, have unveiled their Halloween menus which will be served from September 1 to October 31. 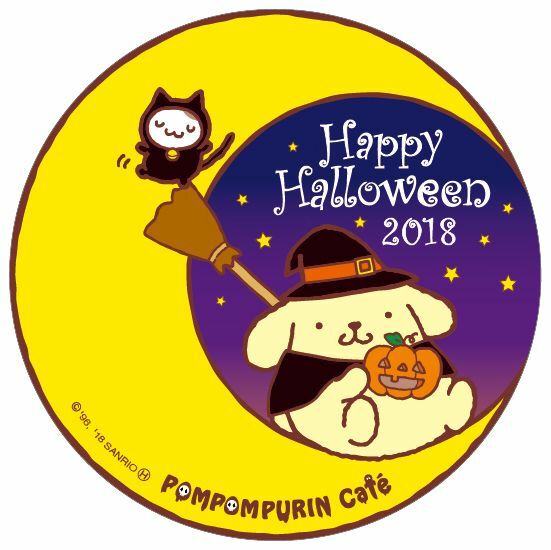 Pompompurin, who came second in the 2018 Sanrio Character Awards, is joined by his best hamster friend Muffin in this special themed menu. This magical and mellow tasting stew contains three different Halloween colours, orange, black and purple, each with their own distinct flavours. The orange is carrot, the black is squid ink, and the purple is sweet potato paste. 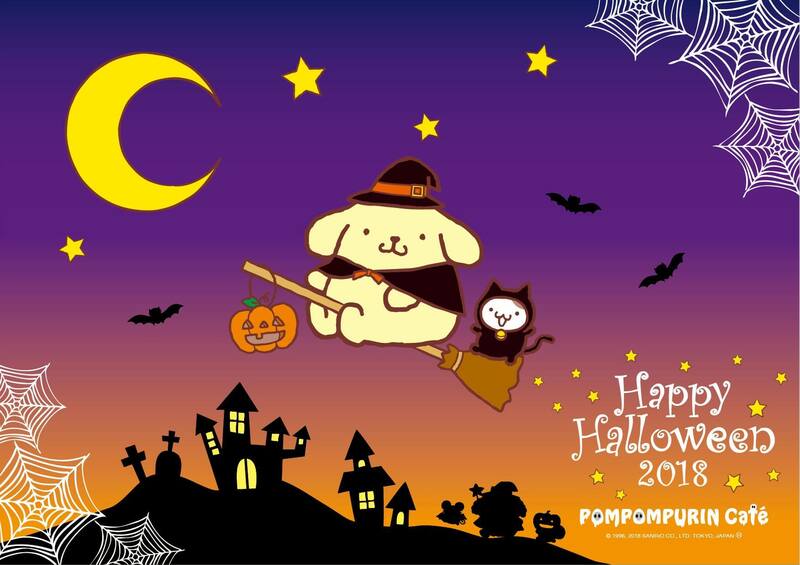 Purin looks so cute dressed as a mage! Muffin went and turned this pasta completely black with his magic abilities! The pasta is made with squid ink and is topped with tomato sauce. It features a Muffin as a black cat made of mashed potato. 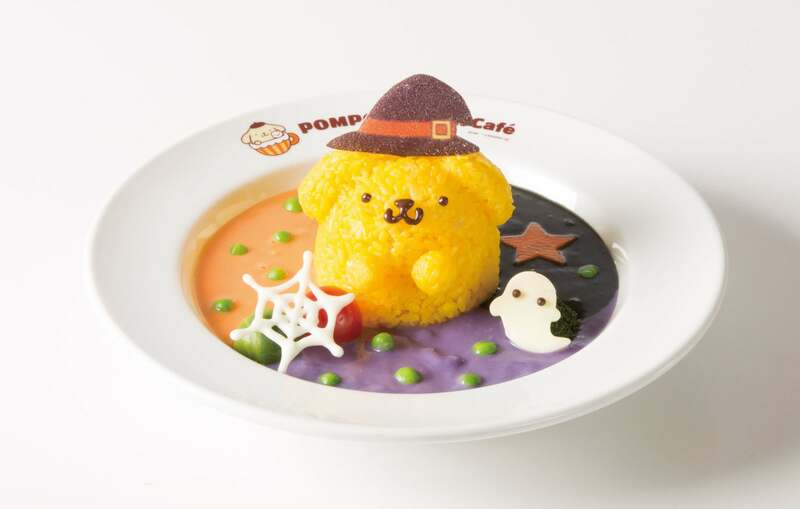 The dish also comes with cute monsters made of zucchini and a salad mixed with pumpkin. 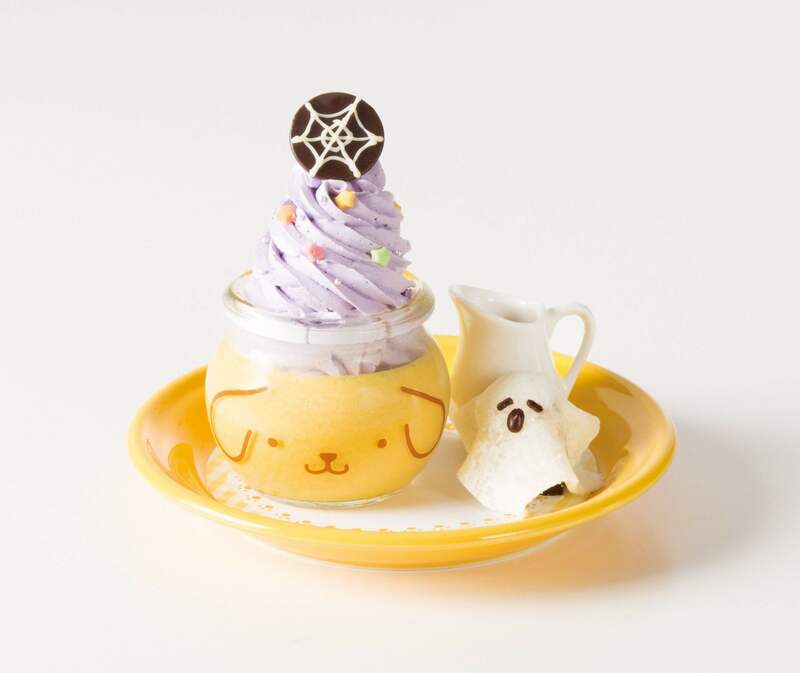 This rich pumpkin purin is crowned lavishly with purple sweet potato cream. It’s filled with the flavours of fall, and when you pour over the caramel sauce it becomes even tastier. It also comes with monster made from gateau chocolate. This dessert is great if you’ve still got room in your belly after a meal. *When you order this as a set the price of the set becomes ¥300 (+tax). 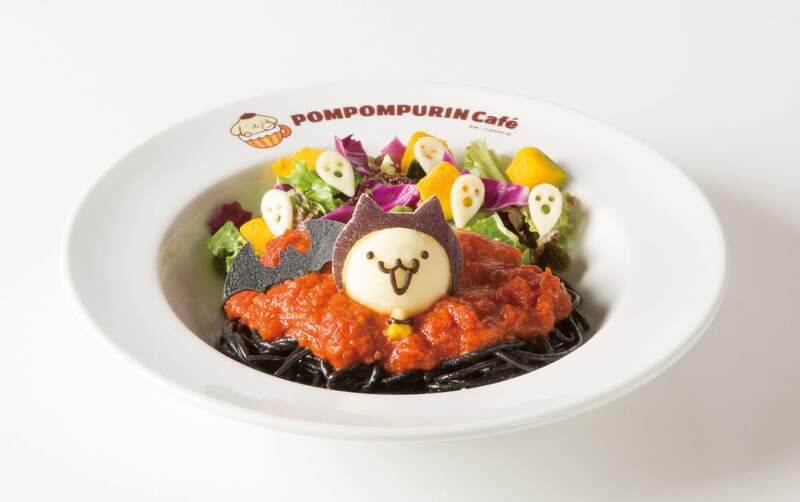 When you order from the Halloween menu you will receive a shiori and lunch mat with original designs. If you order a drink you’ll also receive an original coaster. These items are limited edition and will no longer be available following the end of the menu’s run.